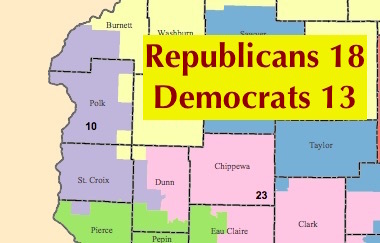 Waukesha County Court Commissioner Laura Lau has an explanation why the more conservative Waukesha County judges are endorsing her opponent, Wisconsin Division of Gaming Administrator Jack Melvin, in the election for Waukesha County circuit court judge. She accuses the judges of putting their ambitions above their judgment. 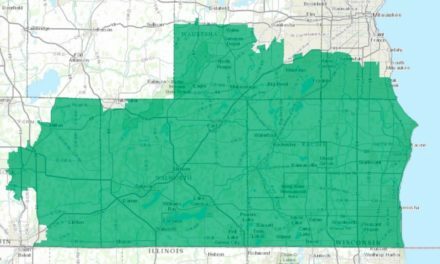 Lau’s attack on her potential colleagues on the bench came in response to a question about the quality and ideology of the judicial endorsements she received in what is presumed to be a conservative Republican county. 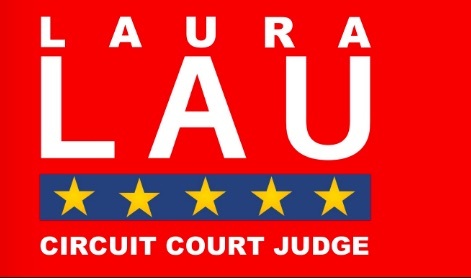 Five out of the six Waukesha County judges that have endorsed Lau have also endorsed (as of Thursday) Milwaukee County Circuit Court Judge Rebecca Dallet for Wisconsin Supreme Court. They are Waukesha Circuit Court Judges Kathryn Foster, William Domina, Ralph Ramierez, James Keiffer, and Robert Mawdsley. However, all four of the judges that have endorsed Melvin, Appeals Court Judge Mark Gundrum and Waukesha Circuit Court Judges Mara Lazar, Mike Maxwell and Mike Aprahamian, have all endorsed Screnock. Melvin, who serves in Governor Scott Walker’s administration and was endorsed by him, responded with a defense of the judges who have endorsed Melvin’s candidacy for judge. In addition to attacking her colleagues’ reputations in the Waukesha County Courthouse, Lau sharply criticized a website put up by her opponent that accuses her of being too lenient with criminals as a court commissioner. Lau did not respond to a follow-up email asking if she was really implying that the website criticizing her record was life-threatening in some way. However, Brian Nemoir, a campaign consultant working for Melvin, explained why Lau might have reacted that way to a website criticizing her record. As part of the initial inquiry, Lau was asked about two cases that are examples of her being tough on crime that appear on her campaign website. In 2017, Frank Schiller was arrested and homicide by intoxicated use of a vehicle, four counts of OWI causing injury and four counts of bail jumping. The victim, Peter Enns, was a “good Samaritan” and was changing a tire for someone else at the side of the road when Schiller’s car struck. As Lau set the bail at $1 million for Schiller, she was quoted in the media lamenting how he was released on a signature bond while awaiting trial for a fifth OWI in Milwaukee instead of in jail where he could do no harm. However, Lau herself was the court commissioner in two other cases involving Schiller. In 2006, Lau set bail at $1000 for Schiller when he was arrested for felony battery, disorderly conduct, and resisting arrest even though by then he had already two OWI convictions, four cases of battery, two cases of drug possession, five violations of bail, two resisting arrest convictions, and one case of witness intimidation. Lau denied being involved in the case and said she could not see it in CCAP, the statewide online database for circuit court cases. When it was pointed out to her that the case was on the second page of Schiller’s record, Lau failed to respond. In 2010, Lau again set bail for Schiller, this time $250 for drug possession and bail jumping charges. By this time, Schiller had amassed quite a record, including four OWI convictions, four resisting arrest convictions, five cases of battery, eight cases of bail jumping, two cases of witness intimidation and five drug cases. “I set his original cash bail,” Schiller explained. “The case came back to court before another court official (Commissioner Thomas Pieper) on a Non-Compliance letter sent by WCS. Commissioner Pieper did not modify the bail,” Lau wrote in response without explaining why the bail amount was so low despite Schiller’s record. In another case featured on Lau’s website, Lau did not explain why she set bail much lower than what prosecutors recommended. Trevor Anthony Thomas was pulled over for a traffic violation. The police officer noticed a large bag of marijuana in the car. After turning over his marijuana to police, Thomas fled arrest, sped through a parking lot, struck another car and then escaped the police on foot. The prosecutors requested $75,000 bail, but as the news story featured on Lau’s website points out, Lau set the bail at $10,000 for Thomas. Lau was asked about one case that was not on her website but was on the JudgementMatters.com website, the case of Shawna Houk. Houk was charged with 2nd Degree Reckless Homicide in the heroin overdose deaths of two people but, despite Houk’s criminal record (burglary, theft, drug possession and bail jumping) and the seriousness of the charge, Lau set the bail at $500. In the email, Lau said several of the cases on the website criticizing her record were similar to the Houk case. However, she did not elaborate which cases when asked in a follow-up email. 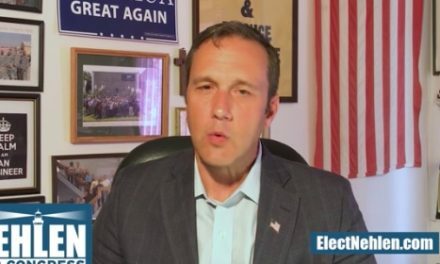 Has Paul Nehlen’s Money Spigot Dried Up?